​It's been a rough start for Kansas City Chiefs quarterback Patrick Mahomes in training camp, as he has tossed eight interceptions in the team's first seven training camp practices. These mistakes and interceptions haven't bothered head coach Andy Reid, however, who came out publicly to defend and show support for his quarterback. "I want him to test the offense. If you don't have the intestinal fortitude you'll end up being one of those QBs that checks it down all the time"
​​It seems like he's throwing a little bit of shade at his former quarterback, Alex Smith, too. Alex Smith, who is now with the Washington Redskins after being traded over the winter, was very cautious with the ball and Reid made it clear today that he doesn't want Mahomes to be like that... at all. Testing the offense is fine, that's how these guys learn, but to throw an influx of interceptions in a short amount of time is a tad bit concerning and to come out and defend it while throwing shade at a guy who left it all out there for you isn't right. Seriously, Andy, if you're going to be that blatantly obvious about who you're talking about, at least tag him. It'll make you look a little less pathetic. 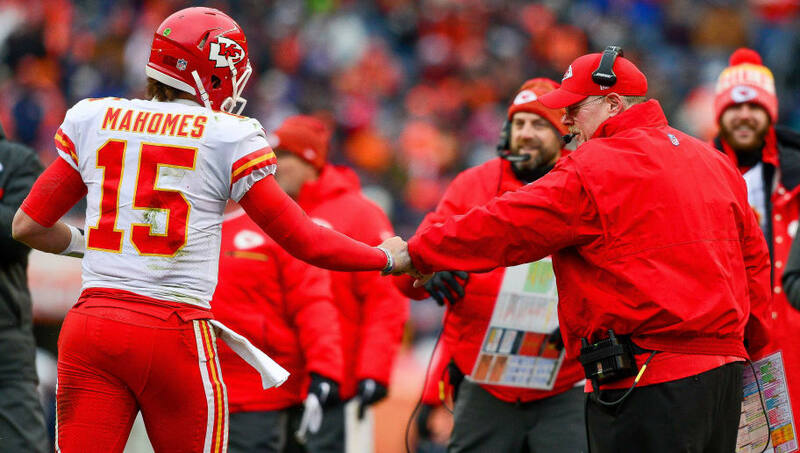 The Chiefs better hope that Mahomes doesn't continue to make the same mistakes twice, which Reid said he wouldn't, because if he continues this streak of interceptions, the defense is going to be spending a lot of time on the field this season.